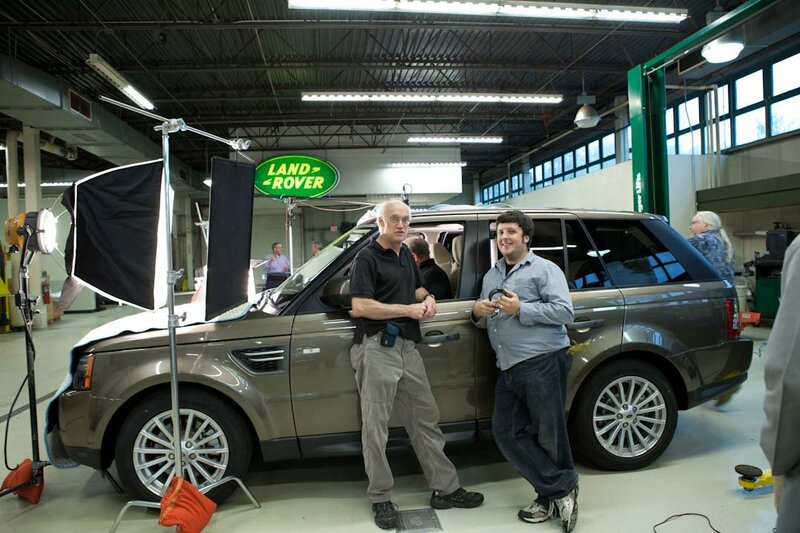 A few months ago, my frequent colleague, DP, Roger Grange, called me to gaff a series of videos for him for Jaguar/Land Rover USA. It was a fun, productive 2-day shoot at the US headquarters of the company. 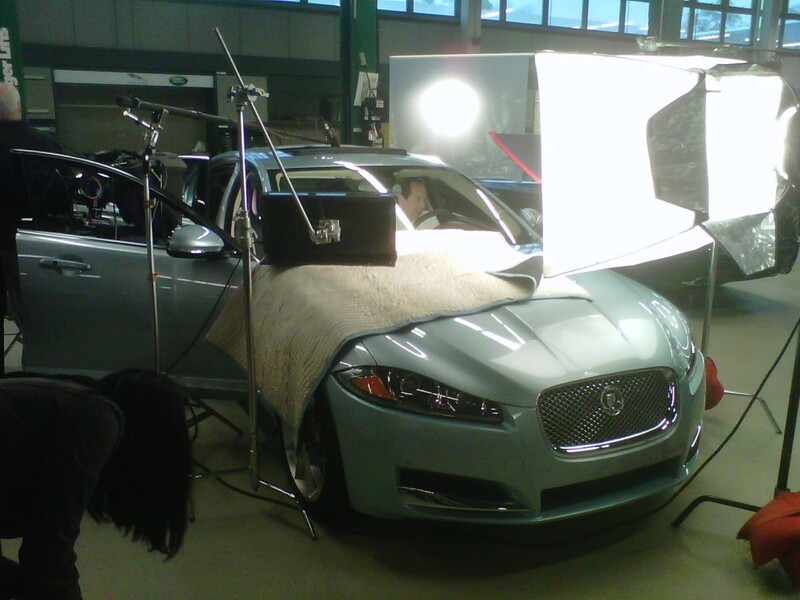 It was varying sizes of talking-head shots in front of and inside these very nice - and very expensive - cars. 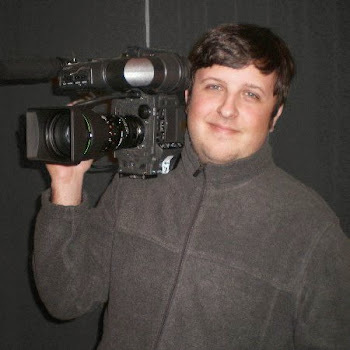 We had a relatively small crew for this - Director, DP/Operator, AC, Gaffer (me), Key Grip, PA, Hair/MU, Art Director and some brand reps - but we managed to make it work. Take a look at the final product(s) below (click the pic). The most fun we had was lighting the cars right. Lighting talent for this sort of thing is pretty straight-forward, but on top of that, we had to work hard to capture the unique style of these vehicles. We had to, of course, get exposure, but beyond that we had to accentuate the contours of the bodies while at the same time managing reflections and glares. It took time, but in the end we got what the client desired. 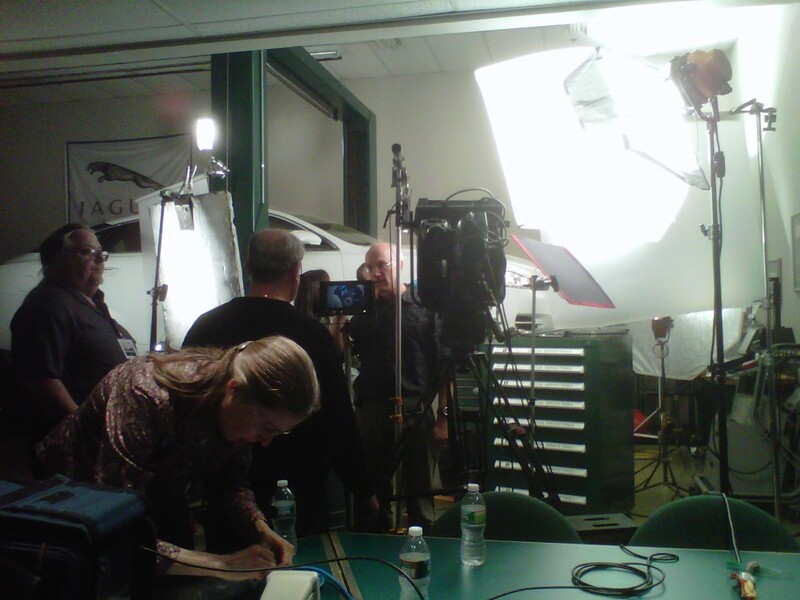 Below are some snapshots of the set and some of our lighting setups. 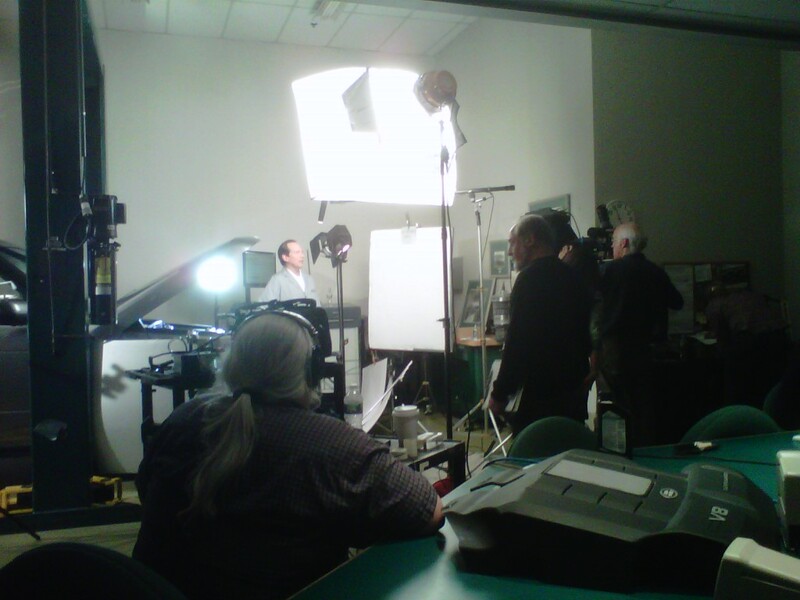 Side note: we regularly made use of 2 of my favorite lighting tools on this shoot. Blondes (2kw open-faced fixtures) and "The Whale" (a 3'x4' white softbox with removable black skirts which allow you to use it traditionally or, with the skirts removed, as a large space-light). 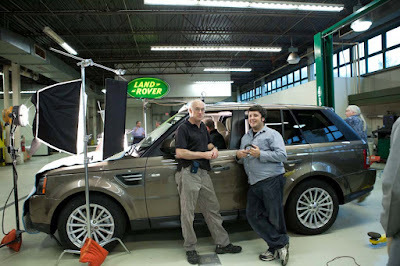 Roger and Me in front of a Range Rover we were working with.